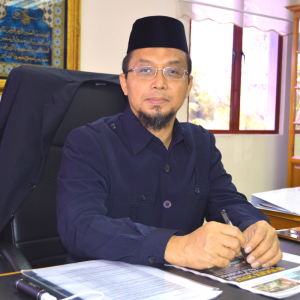 Zulkornain Yusop is a Professor and former dean at Faculty of Economics and Management, Universiti Putra Malaysia. His specialization is International Economics, foreign direct investment (FDI) and capital flows. He was appointed as consultant for various projects including Ministry of Agriculture and Agro-based Industry i.e. Balance of Trade in food. In terms of publication, Zulkornain has published numerous journal articles, chapters in books and proceedings in the field of International Economics. His journal articles are published in reputable journals such as International Journal of Business and Society, Journal of International Food and Agribusiness Marketing, World Review of Entrepreneurship, Management and Sustainable Development, Journal of Accounting and Finance, PERTANIKA, The Singapore Economic Review, The ICFAI Journal of Monetary Economic, The ICFAI Journal of Applied Economics, Journal of the Asia Pacific Economy and Applied Economics Letters. More than 75 postgraduate students have graduated under his supervision (main supervisor) which includes PhDs, Masters of Science, Masters of Economics and MBAs students. An impressive academic achievement, Zulkornain has been listed under world known recognition of WHO IS WHO since 2006. He is also listed in the 2000 OUTSTANDING INTELLECTUALS OF THE 21ST CENTURY by the International Biographical Centre (IBC), Cambridge, England. He served as a Visiting Professor at AlFaisal University – Prince Sultan College of Tourism and Business, Jeddah Saudi Arabia from October 2010 to March 2013.